For the longest time, the play in women’s fashion has largely been restricted to top wear, with denims playing a more basic, neutral role. Trends or innovations in denimwear have largely been restricted to experimenting with fits and washes. 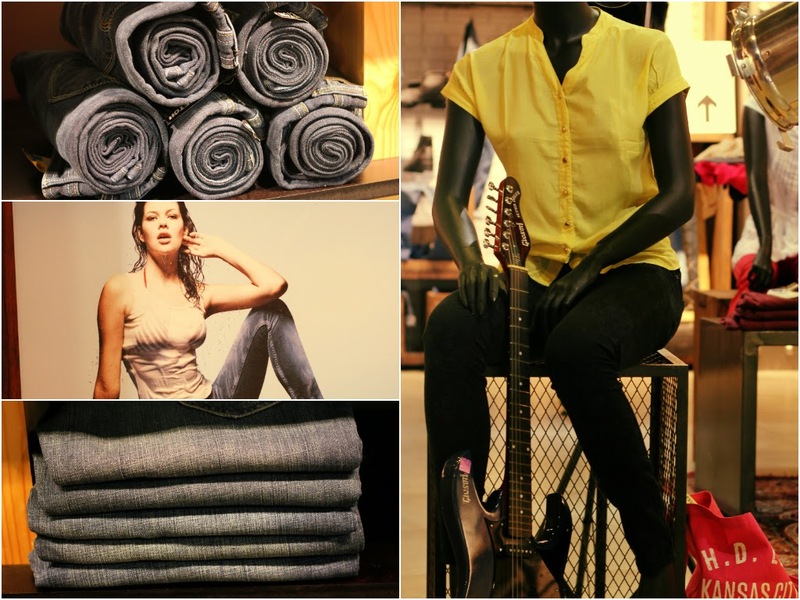 But over the last few seasons, trends such as colored denim and prints going rampant across all categories of fashion are a clear indicator that today’s consumer is more willing to experiment than ever before, making printed denims a natural progression of sorts to cater to this new appetite of the consumers. And this is also a global trend, and you will only see it increasing over the coming season. Jacquard Denim fabric – Jacquard is a fabric type where the patterns are woven into the fabric itself. This is a very common fabric that we see in the Indians looms, but having this technique introduced in denim is something new in the Indian market. In the jacquard jeans, the patterns are sharper and add another dimension in terms of texture too. Laser Printed Denims – Laser technology is used to create the patterns on the denim fabric. The laser rays burn out the indigo dye on the denim fabric to create the pattern. Advantage of this technique is that allows us to create even intricate designs clearly. Graphic Prints – This is among the most commonly used techniques. But again printing on denims requires a better control and superior techniques. The advantage of this method is that you can have multiple shades of the print coming in. Apart from these 3 techniques, there are different levels of washes – right from light tone washes to dark tone, so that the customers have a wider color pallet also to choose from apart from the patterns.